I have kept the list of ideas and it started to grow. 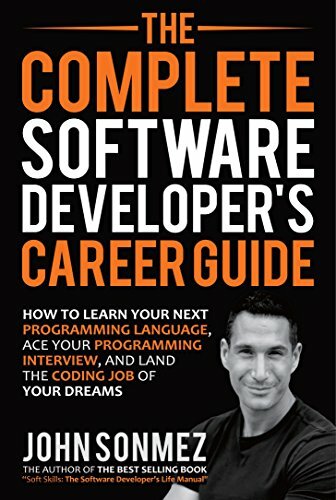 One day I’ve discovered the book “The Complete Software Developer’s Career Guide: How to Learn Programming Languages Quickly, Ace Your Programming Interview, and Land Your Software Developer Dream Job” by John Sonmez. Yes, the title of the book is as long as a book itself. It consists of almost 800 pages. But that is a cool book. I’ve already read half of it and I definitely can recommend it. Everyone who just starting his path into software development and even experienced developers can find there some interesting stuff inside. Then, I’ve googled the author, found his YouTube channel and somehow found the free blogging course. The course consists of 5 lessons. I told myself: “Why not? It’s only five lessons. I definitely have time for that”. I still want to have my blog. So I took the course. That was a good idea because John has taught me of some very important (I think) points. For example, you need to narrow the focus of your topics by choosing the theme of the blog. I had some similar ideas before. I wanted to blog about the things I’ve learned (today). But now I understand that is also a big area. After passing the course, I’ve decided to document the process of learning Elixir and Phoenix. Yes, I’m going to start learning this language and framework. I will learn new things and I will try to blog about the process. And the subject does not look so wide anymore. 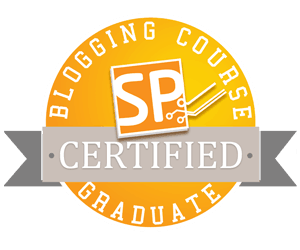 In his course, John suggests to setup the blog on your own domain using Wordpress for that. I was not convinced about Wordpress at the beginning and not even your own site. I knew about Medium at that time and I thought it could be easier to find readers at the beginning. So I’ve started research and a look for articles “Medium vs. Self-hosted blogs”. John even has a YouTube video about that as well. Based on the opinions I’ve discovered, a self-hosted solution is better for a long run. Because you are the owner of the content and you’re in charge what to publish in your blog. Medium, on the other hand, can remove your content without explaining any reasons to you. But it is possible to repost some of your blog posts to Medium as well. That can attract some readers. They will probably check your profile, where you should have a link to your self-hosted blog located on your own domain. So I will try to take this path and see where will it lead me. I’ve also decided to use Jekyll and GitHub pages (for now, for now, I may change it later) instead of Wordpress. Now commitments. That is kinda scary to make a commitment on the schedule of your publications. But I guess I have to. That should force me to actually keep the blog alive. Overwise that won’t make a lot of sense. Thus I will start by publishing at least one post in two weeks and see how will it go. Ah yes! Look what a cool badge I’ve got.